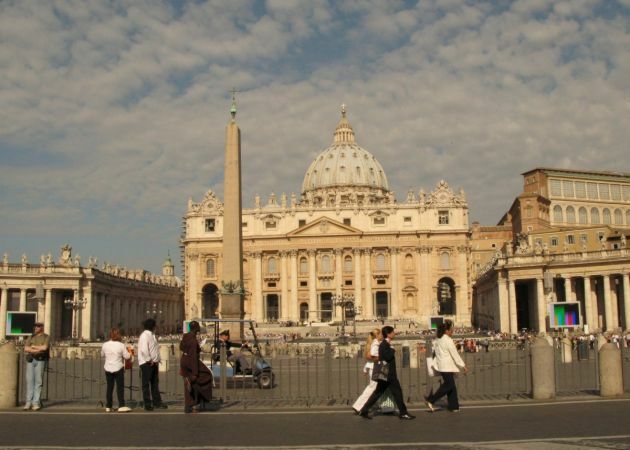 (Photo: © Peter Kenny / Ecumenical News)St. Peter's Basilica in the heart of the Vatican on June 4, 2008. The number of Roman Catholics has expanded at a faster rate than the rest of the world's population, newly released Vatican statistics show. Over nine years, the number of Catholics worldwide has increased by 17.8 percent, compared to the global population, which increased by 17.3 percent, the 2016 Pontifical Yearbook records. From 2005-2014, the number of Catholics grew from 1.12 billion to 1.27 billion. Africa had the biggest increase in Catholics, at 41 percent, while it had an overall population growth of 23.8 percent. This was followed by Asia, with a 20 percent Catholic increase vs. the 9.6 percent population increase, then America which saw an 11.7 percent increase in Catholics compared to 9.6 percent of the population. These and other statistics, released by the Vatican on March 5, are contained in the 2016 Pontifical Yearbook, and the 2014 Annuarium Statisticum Ecclesiae, Catholic News Agency reported. The number of Catholics in Europe grew by only 2 percent compared to the overall population, while in Oceana the increase of Catholics was just slightly lower than the overall population growth. The statement also notes a global increase in the number of bishops from 2005-2014, although America and Oceana saw a slightly lower increase than the world average. There was also a worldwide increase in the number of diocesan and religious priests, mostly in Africa and Asia, although there was a decline in new priests in Europe and Oceana. While the number of permanent deacons increased in Africa, the rest of the world saw a decline. Likewise, female religious saw a decline, but there was an increase in Africa and Asia. Seminarians for the priesthood increased from 114,439 in 2005 to 116,939 in 2014, peaking in 2011 at 120,616. The number of seminarians was consistently highest in Africa, Asia, and Oceana, while Europe and America saw a decline.